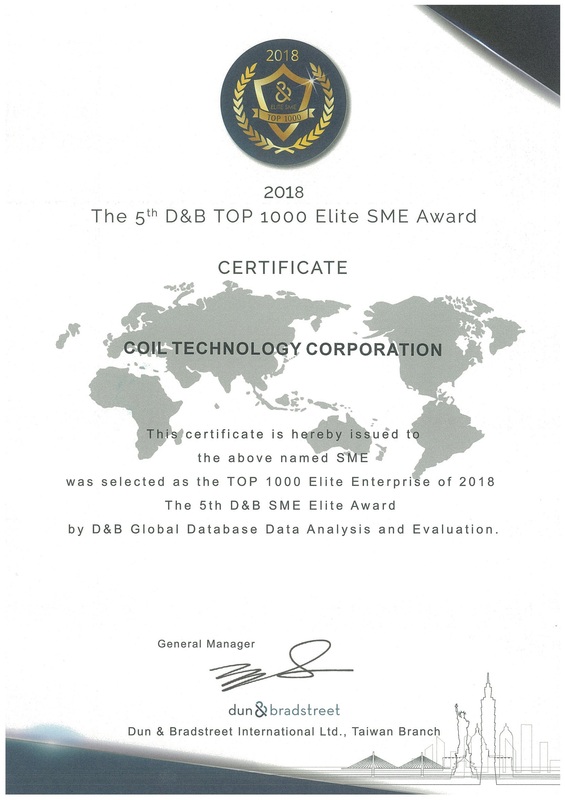 Coil Technology Corporation had been awarded Top 1000 SME Business Excellence Award by Dun & Bradstreet for fifth consecutive years since 2014, there are only 7 companies awarded for fifth consecutive years among one thousand companies. This honor not only demonstrates our strong strength in export, but also acknowledge that we are qualified to be the “Hidden Champions” in Taiwan! 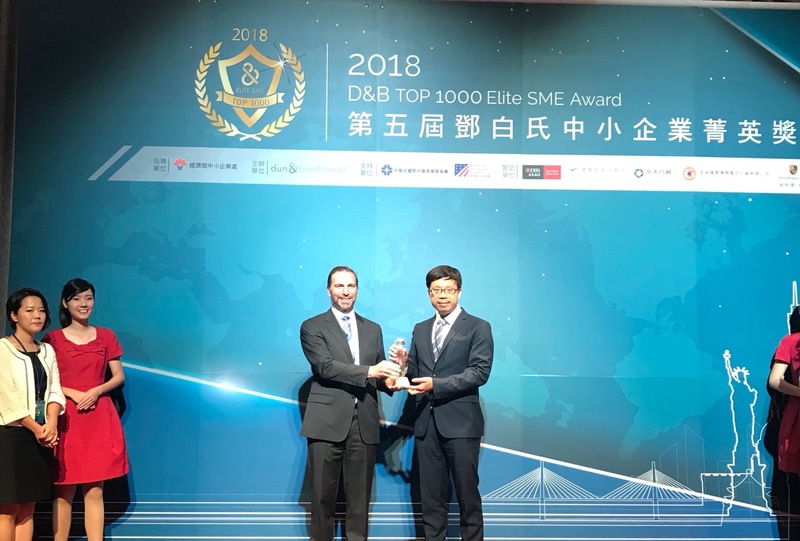 Dun & Bradstreet, the world’s leading source of global commercial information and credit investigation, this award is specially held for Taiwanese SME. The selection was based on “financial pressure index”, “purchasing power index” and “growth of the export” for the past 3 years.